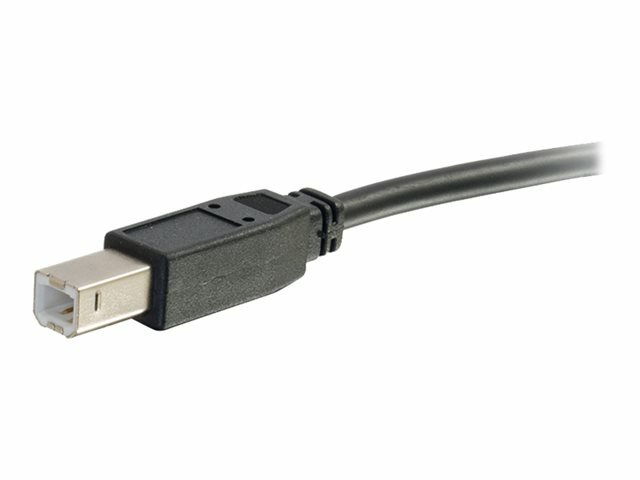 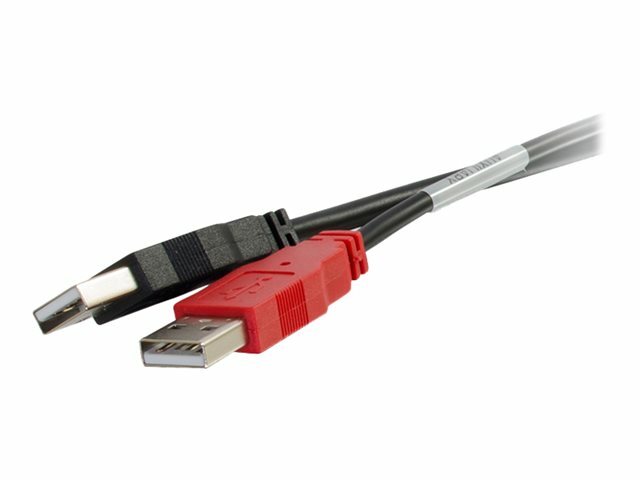 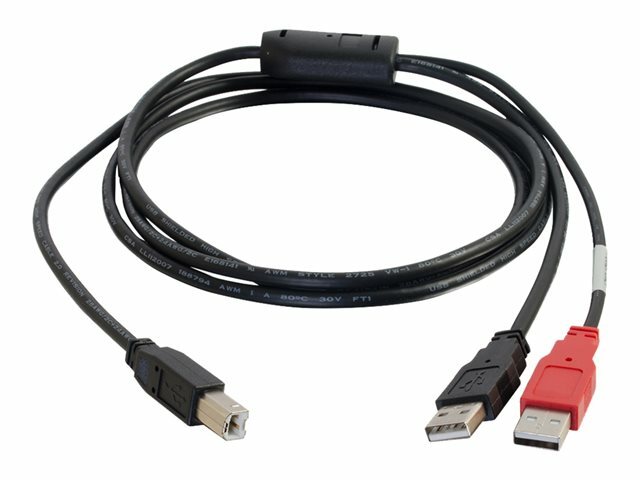 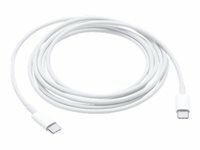 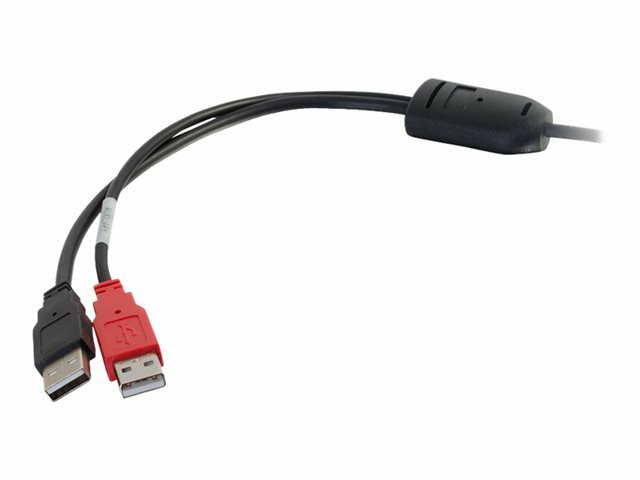 When a standard USB cable cannot transfer enough power to operate an external device, such as a portable 2.5in hard drive, you need a USB 2.0 y-cable. 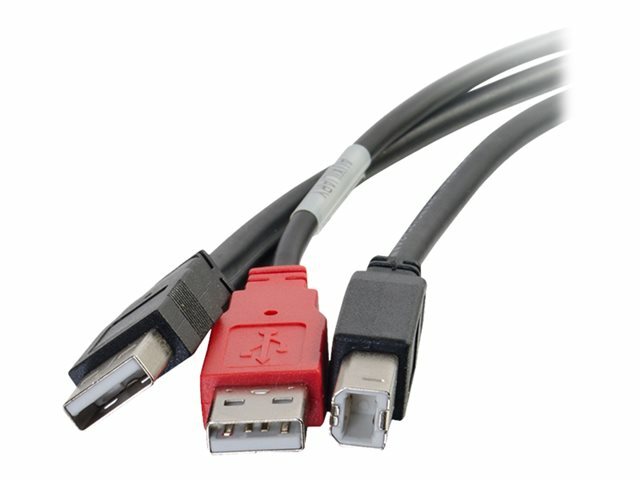 Simply plug this cable's USB B end into the device, and then plug the two USB A ends into open USB ports on one PC or Mac. 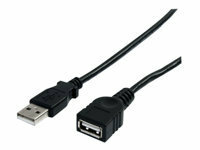 This cable then pulls power from both USB ports, and thus increases the output to the external drive.